Bryson DeChambeau received a congratulations message from US Ryder Cup captain Jim Furyk after a four-stroke PGA victory, but he really wants another note next week saying he made the team. DeChambeau's runaway triumph at the Northern Trust tournament made him a top contender for one of four captain's choice picks to the American squad, the first three of which will be announced Tuesday by Furyk with the last announced on September 10. 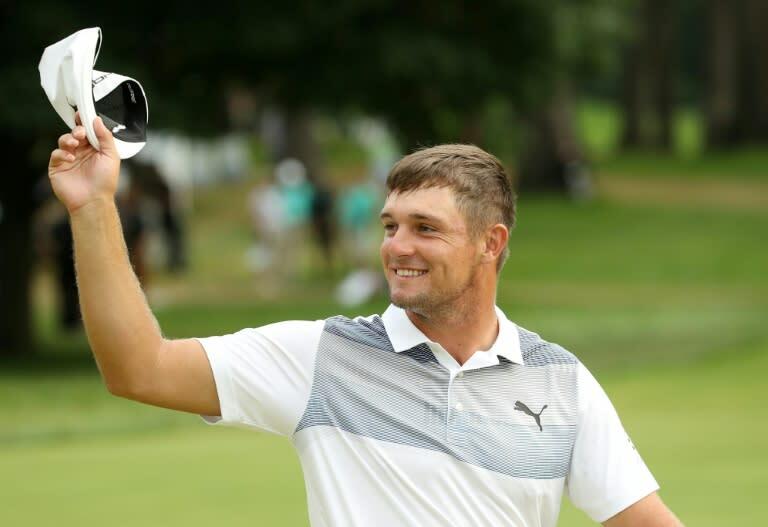 "Jim texted me congratulations, so that was very nice of him, and hopefully I can see him soon," DeChambeau said after taking his third PGA victory. "Hopefully he can see that I've got some grit and grind and that even when I don't execute certain shots, I can get it done." DeChambeau, who turns 25 on September 16, missed the cut at the PGA Championship earlier this month and missed his chance to become one of eight players to qualify on points for the American roster. With 14-time major champion Tiger Woods and Phil Mickelson, who hasn't missed a US Ryder or Presidents Cup squad since 1993, also seeking captain's picks, the path is narrow for DeChambeau. But he is playing well at the right time and had been under the eye of Woods, set to be a Ryder Cup assistant captain at the moment, before the PGA Championship. "Bryson is very analytical, as we all know, but what most guys don't know is how competitive he is," Woods said at the PGA. "He's very fiery, very competitive, and that's the type of person we want on the teams. We want someone who is fiery, who will bleed red, white and blue. We want those type of players on the team... We want him on that team." Should DeChambeau and Woods be named to the US squad, they are expected to be teammates in foursomes and four-ball, having played many social rounds together as Florida neighbors. "I'm not in yet but hopefully I get the pick,” DeChambeau said. "It would be an honor also to play with (Woods). I think we could have some great chemistry out there and hopefully maybe intimidate some people. That would be nice. "But nothing is finalized yet. And this week I'm just going to try to play my best so I can get on that team."